Moreover, the visit was part of efforts by Boris to mobilize support for the FOCOS Hospital. The hospital is on a mission to bring quality orthopaedic care to deprived populations in Africa and around the world. 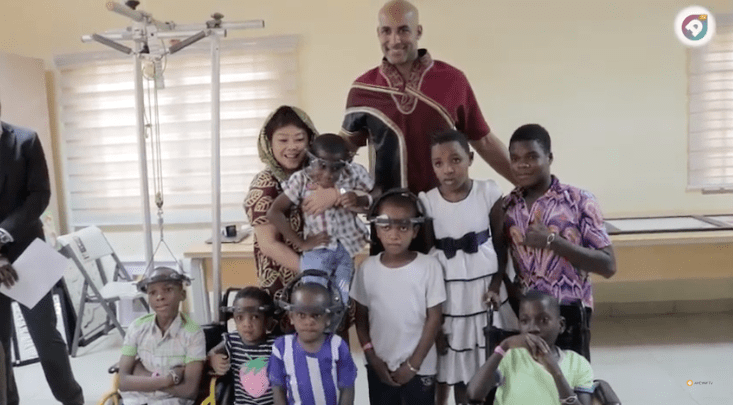 Boris Kodjoe is an ambassador for the non-profit specialist Orthopedic hospital. Therefore, he wanted his friends to have a first-hand experience of the facility that has treated over 55,000 patients from 45 countries and conducted 3,000 complex spine surgeries since its inception. Earlier this year, Boris and his wife Nicole, visited the hospital and interacted with staff and paediatric patients.